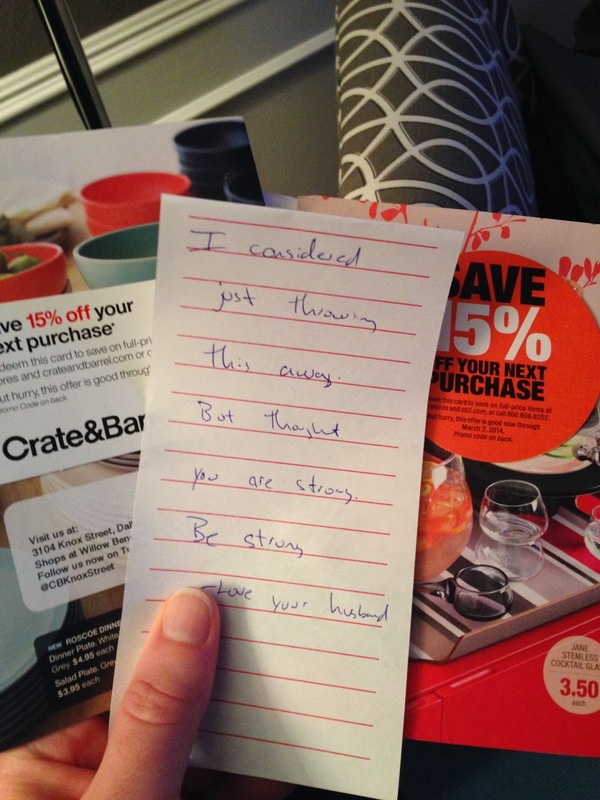 My husband left me a note, next to Crate&Barrel and CB2 discount coupons that arrived in the mail. "I considered just throwing this away, but thought you are strong. Be strong. Love your husband." After the first of the year, my husband challenged me to stop spending money...and I've succeeded for the most part...I can be strong, right? That's hilarious! There are some limits to strength, sometimes.